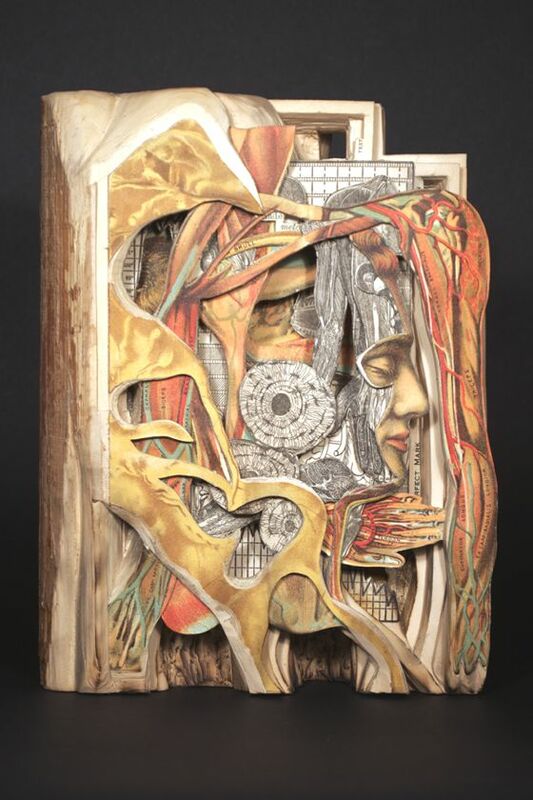 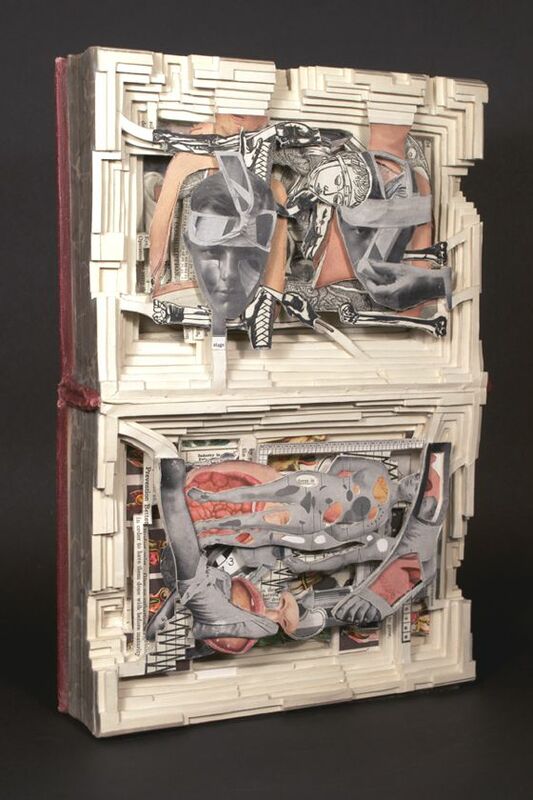 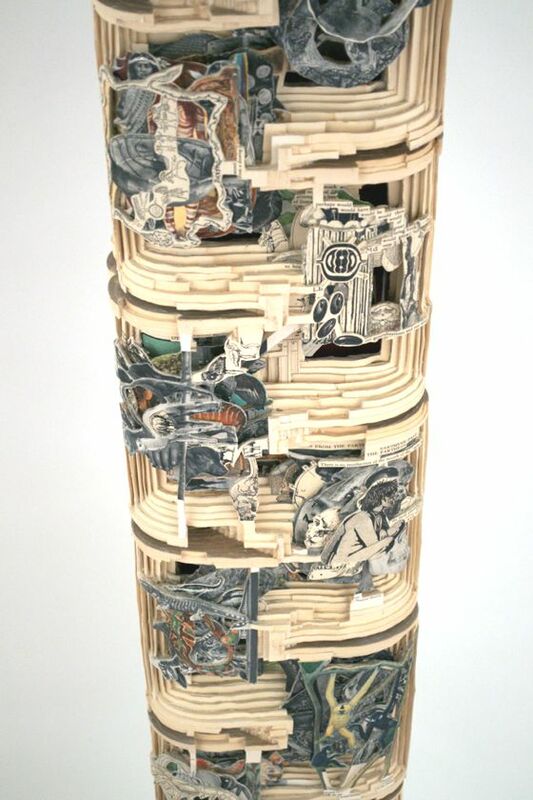 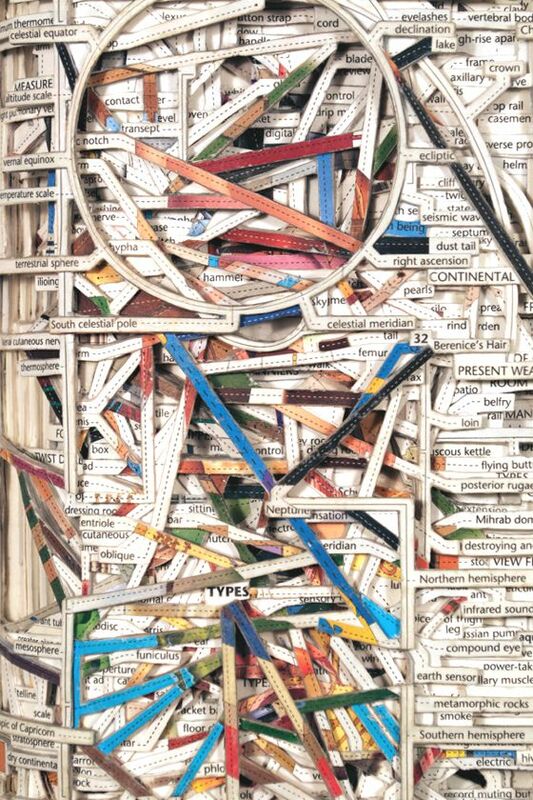 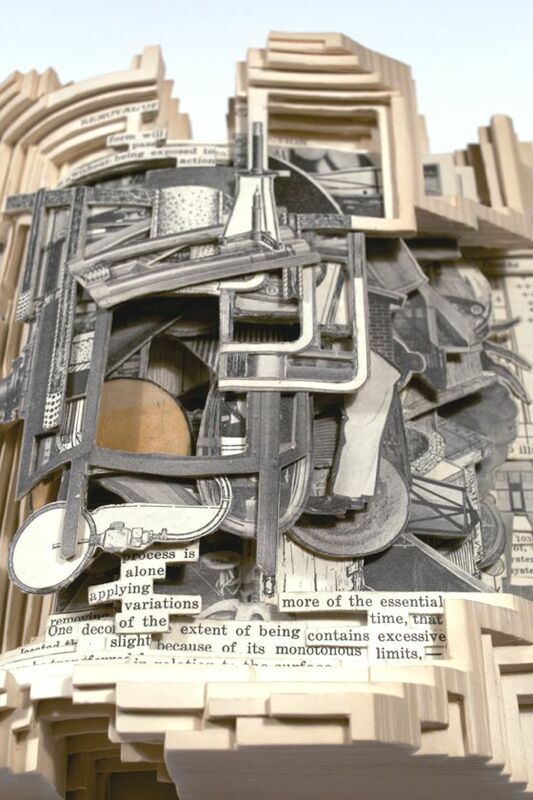 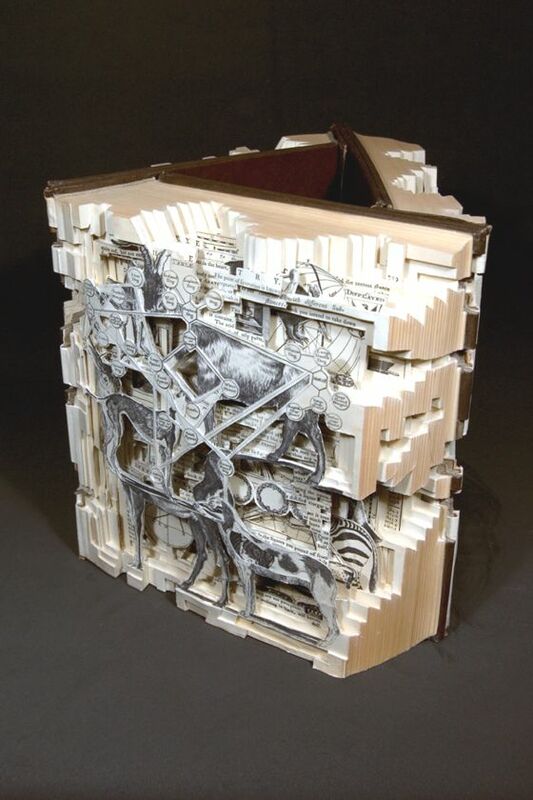 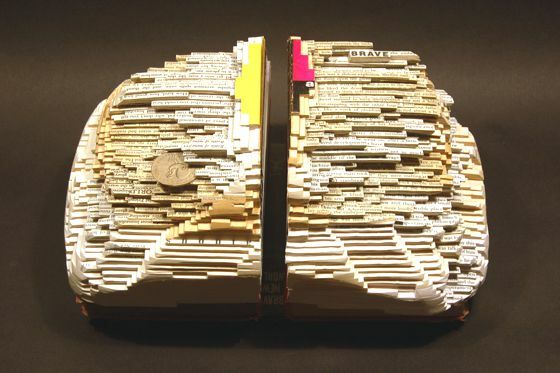 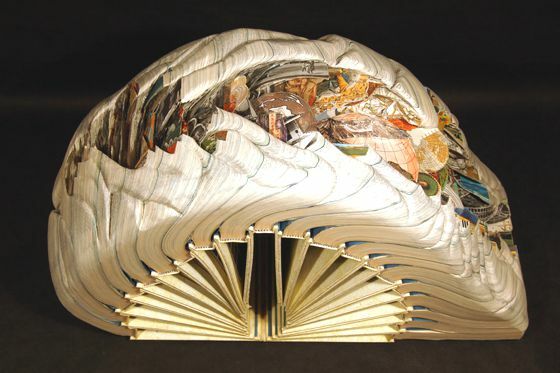 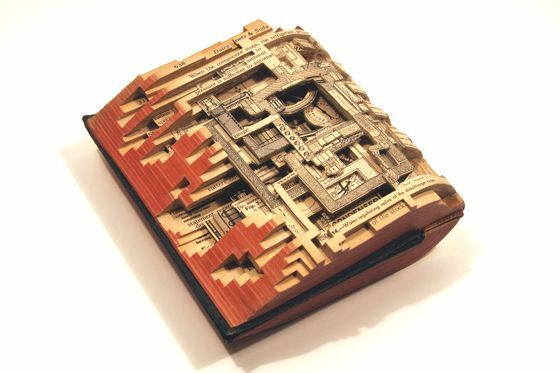 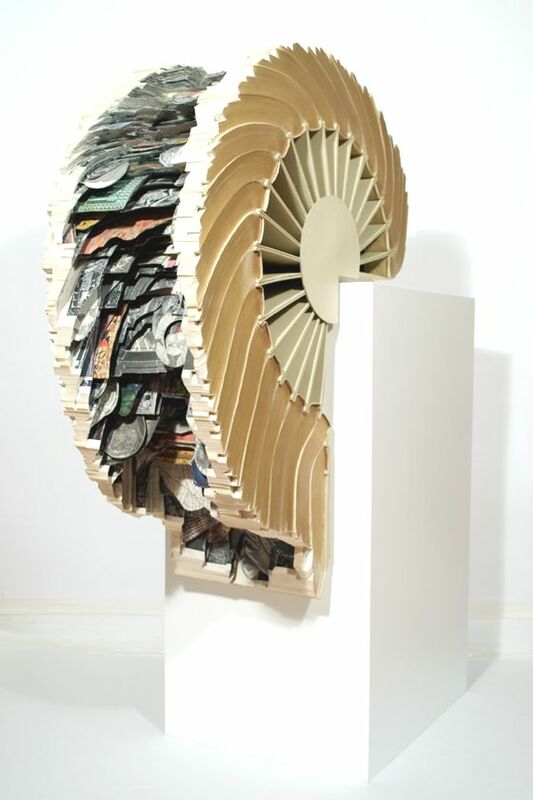 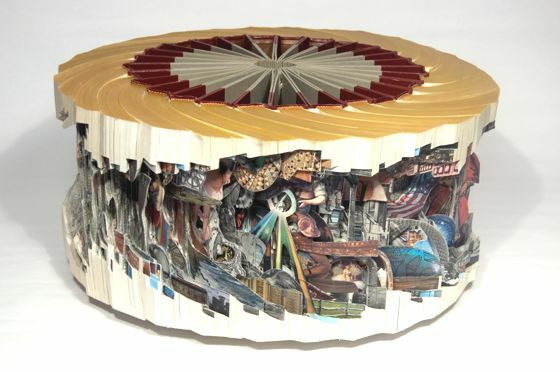 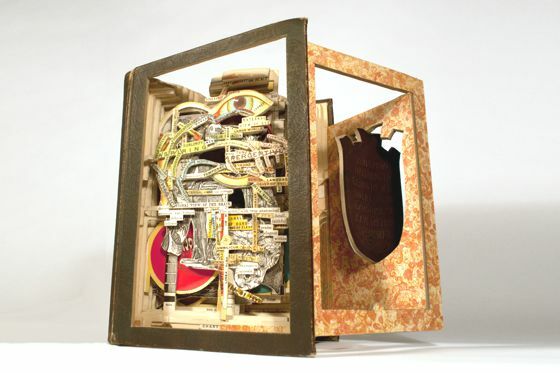 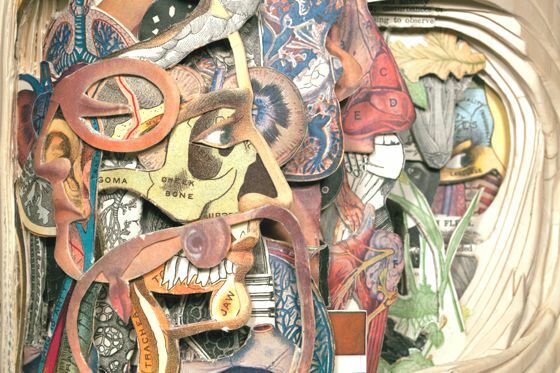 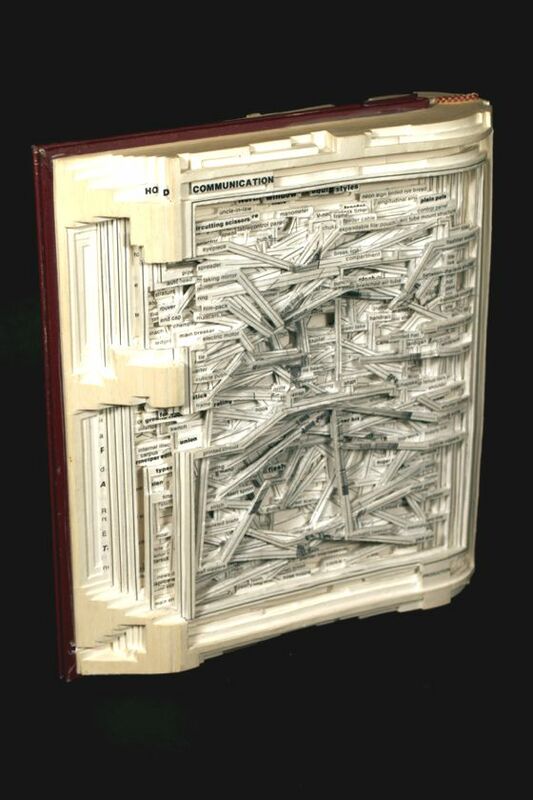 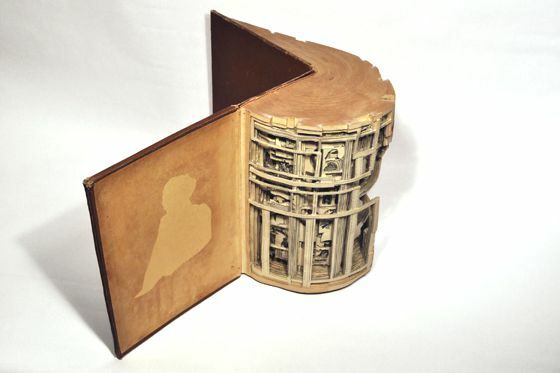 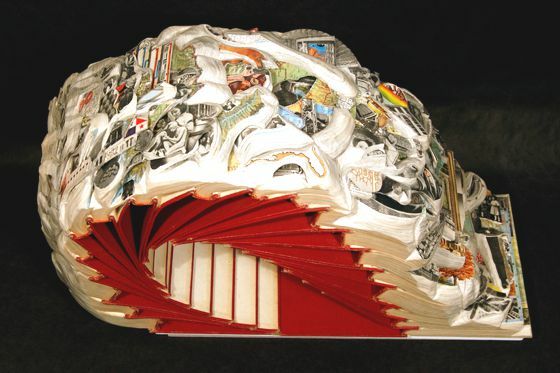 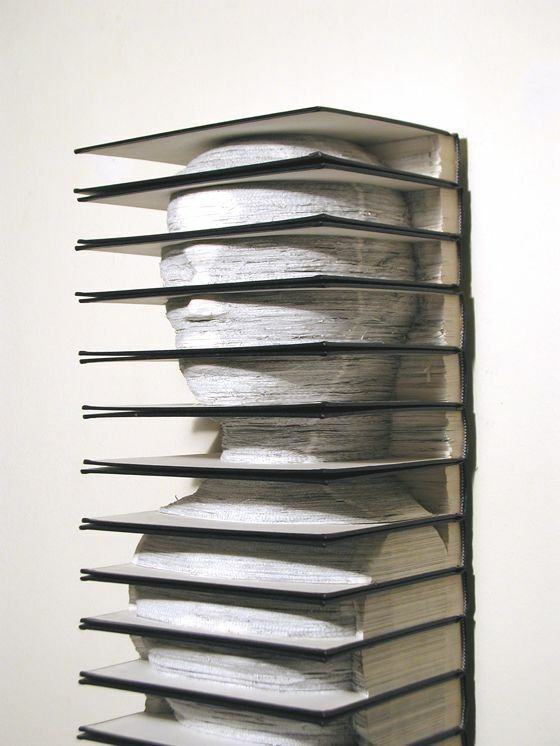 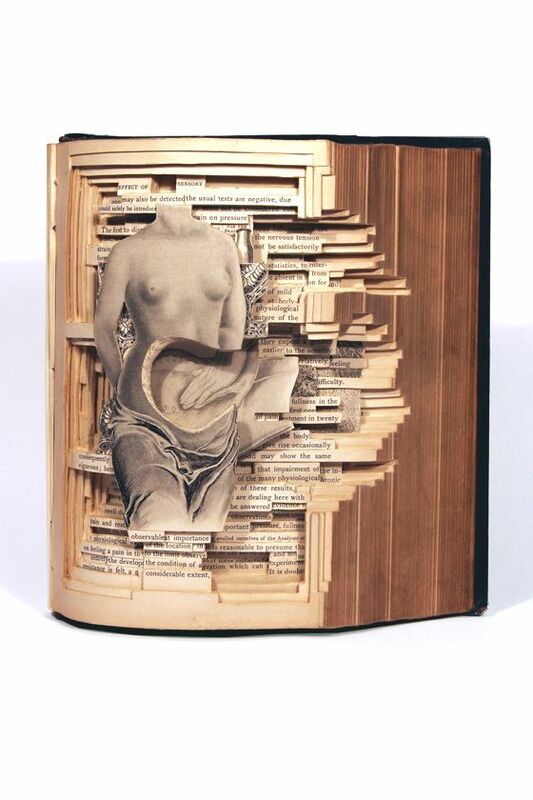 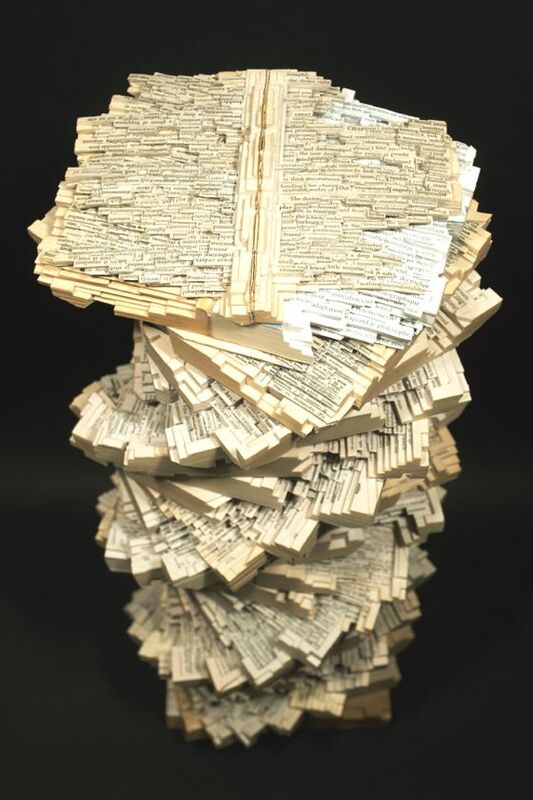 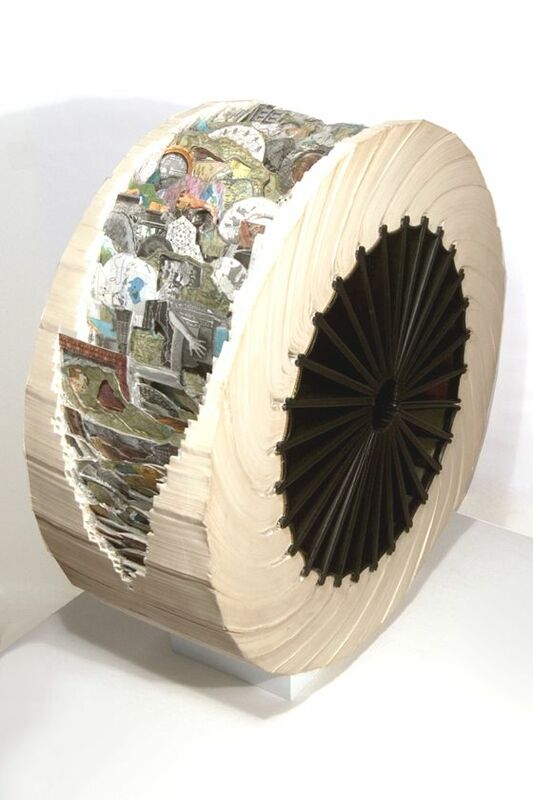 Brian Dettmer is an American artist that lives and works in Atlanta, known for its innovative and detailed carvings, made with books and other "vintage" materials. 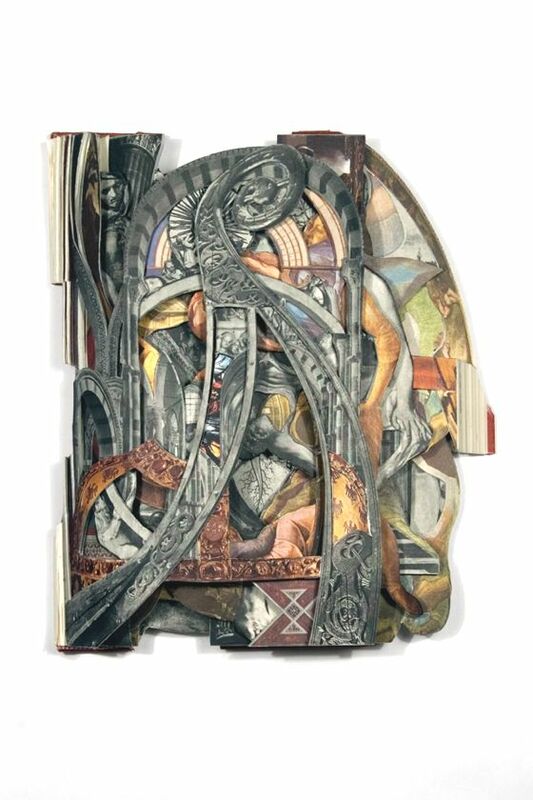 His works are in numerous public and private collections in United States, Latin America, Europe, Australia and Asia. 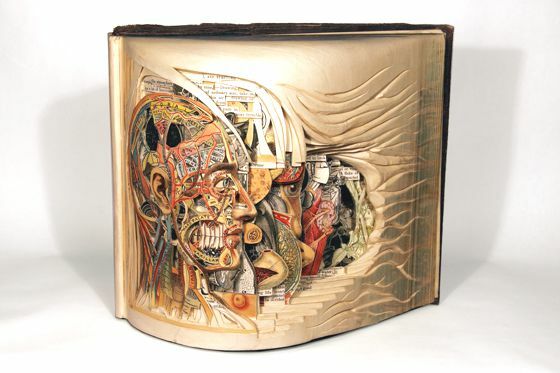 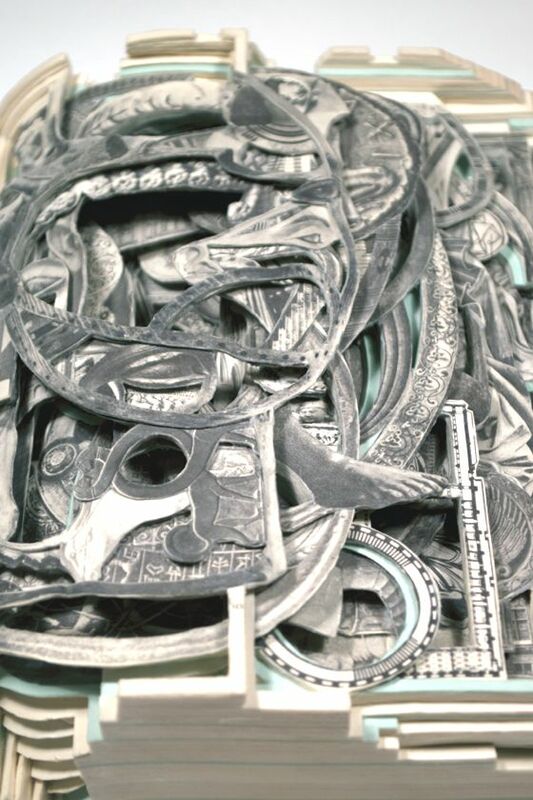 In recent years, Dettmer has established itself as one of the most important international contemporary artists. 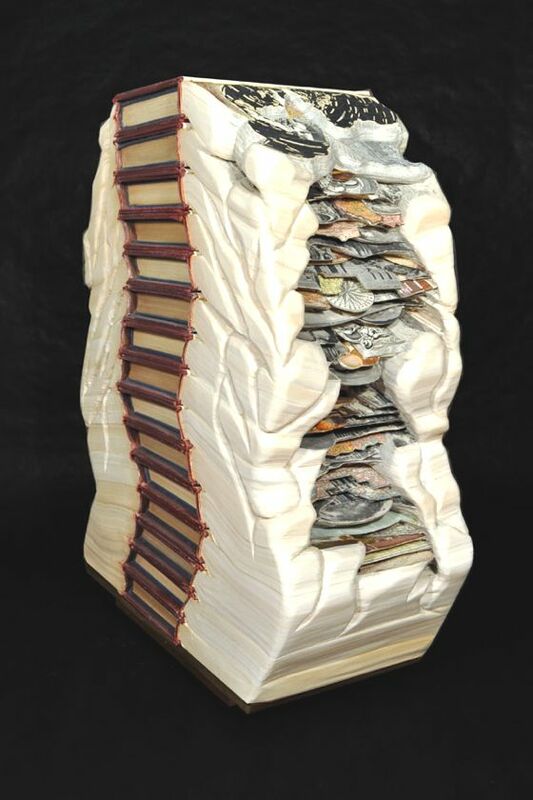 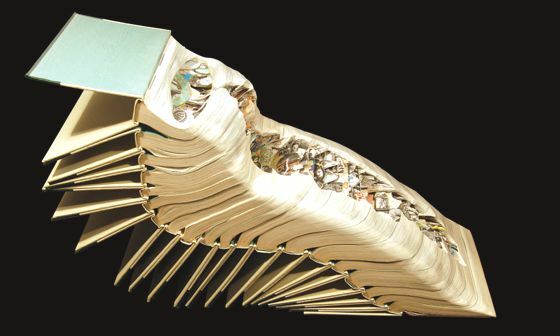 His sculptures are really beautiful, with an surface approach that brings to light meanings submerged or new elements, already contained into the books, but recontextualized through the Brian intervention. 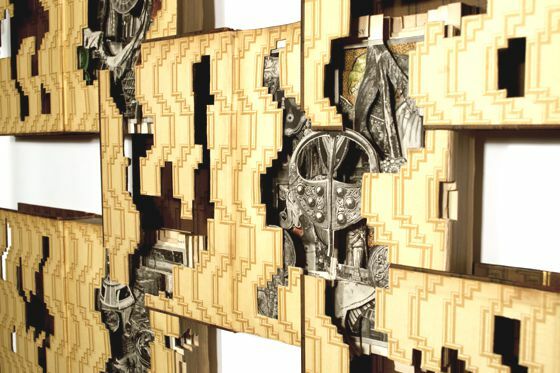 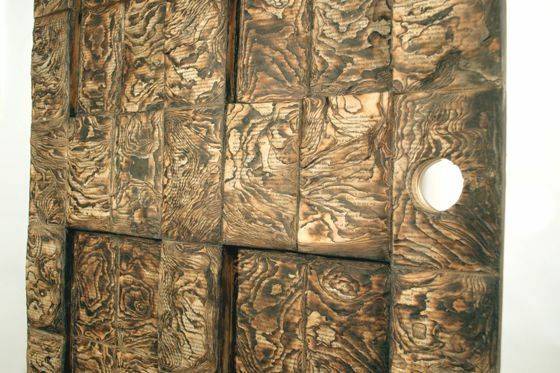 From an aesthetic point of view, wonderful patterns, weaving, surface effects that leave breathless.